From September through June, yellow buses filled with schoolchildren descend on the nation’s capital. The students travel with backpacks carrying lunch, a composition book, and the ubiquitous smartphone. 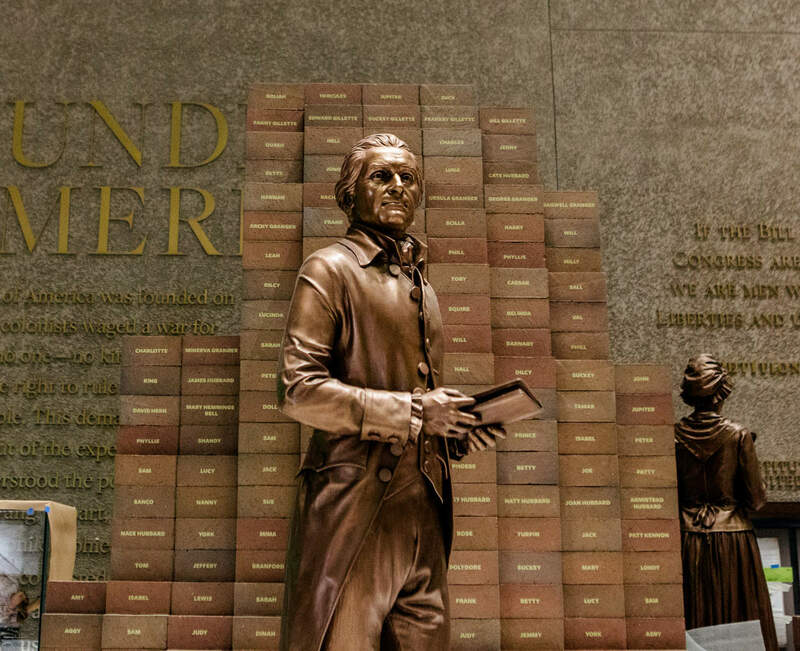 No matter their points of departure, they share a common itinerary: They have come to Washington, DC, to visit museums, historic sites, and, of course, the monuments built to honor our past presidents. The educators and principals who travel with them have one goal in mind: to teach the youngest citizens of the nation about their history—and more specifically, about the founding of the United States. The hope is that these school trips will inspire them to learn about the past in experiential ways, supplementing dry textbooks by allowing them to stand on political holy ground. Visiting places like the White House and the Capitol, students are exposed to the seats of political power; and when they tour museums, they encounter America’s past, its greatness, and its vulnerabilities. On September 24, the itinerary of these trips to the capital permanently changed. 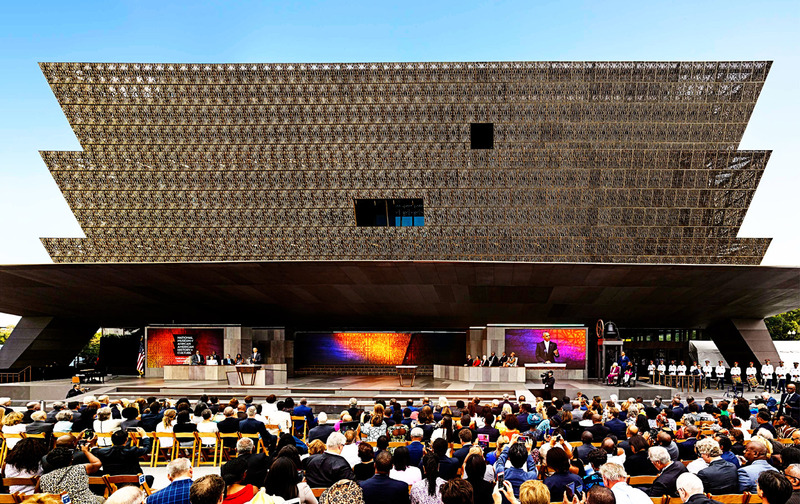 A new institution, the Smithsonian’s National Museum of African American History and Culture, celebrated its opening with much fanfare, including public concerts and the attendance of some of the nation’s most famous celebrities and dignitaries. Amid the celebrations, a particularly poignant moment marked the importance of this new museum. Seated onstage with her family, 99-year-old Ruth Bonner listened attentively to President Obama’s opening remarks. Dressed in a plum-colored pantsuit, the near-centenarian watched the first African-American president shed tears as he shared his thoughts about visiting the museum with his future grandchildren. First lady Michelle Obama did likewise as she listened to her husband recognize the courage of children like Ruby Bridges, the first black student to attend a formerly all-white school in New Orleans, and the despair surrounding the 1963 murder of four little girls by segregationists in Birmingham, Alabama. The museum grew out of the need to be recognized and respected. Bonner’s face remained composed as the president detailed the violence of the Jim Crow past and the racial inequalities of today. Flanked by her family, Bonner kept her hands clasped in her lap as she waited for the president and Mrs. Obama to make their way across the stage. They would join her in ringing the Freedom Bell, which was carefully restored for the occasion. The bell, which dates back to 1886, was owned by the First Baptist Church in Williamsburg, Virginia, a congregation founded by enslaved and free blacks in 1776. The same year that the founders of the new nation signed the Declaration of Independence, members of the First Baptist Church defied the law by congregating and worshipping in secret outdoor church services. It seems that in 1776, the spirit of freedom was contagious. Reminiscent of the small schoolhouses whose bell used to ring in the beginning of each school day, the Obamas and Bonner formally opened the museum by tugging on a simple rope. As the Freedom Bell rang, it triggered a communal bell-ringing by schools and churches across Washington. Bonner’s presence at the ceremony was both emotional and emblematic. The daughter of a formerly enslaved man, she stood with the president to demonstrate the possibilities of progress. Bonner’s father, Elijah Odom, managed to escape enslavement in Mississippi, lived through the tumultuous years of Reconstruction and segregation, and found a way to educate himself and graduate from medical school. His story epitomizes the sweeping arc of history commemorated by the museum, which tells the long and complicated story of slavery and freedom in America. The ringing of the Freedom Bell was a signal to teachers, students, and the general public: This new museum had opened its doors to introduce a new and powerful narrative among the city’s tourist attractions. It was built to teach African-American history, and just like the nation’s capital, its existence grew out of a specific need: the need to be recognized and respected. The museum’s first director, Lonnie Bunch III, left his post as president of the Chicago Historical Society and started his new position in July 2005. His original staff consisted of just one assistant, and when he first reported to work, no one was available (or willing) to open his office door. He borrowed a crowbar from the maintenance staff and muscled his way into his new job. The mission that confronted Bunch was herculean, but he’d been trained as a historian, so he knew that he wasn’t the first person to build something from nothing in Washington. He could simply look over at the Washington Monument for inspiration: If the nation’s first president could get the capital constructed in a decade, Bunch could surely build a museum. The experience is both educational and emotional, and the patrons refuse to be rushed. The challenges that George Washington faced were immense. A flood-prone, mosquito-infested swath of land needed to be drained. Buildings and houses had to be erected, canals trenched, and funding secured at a time when the new nation was deeply in debt and dependent upon foreign loans. There was a lot at stake in the creation of a new capital city: It would be a demonstration of national power and resolve, and it would coax battle-weary Americans to believe in the sustainability of their new country. The buildings would serve as both markers of memory and monuments to a new society. But buried in the magnificence of this infant city was a deep contradiction: The nation that prided itself on freedom and wanted desperately to create an image consistent with its new rhetoric did so with the use of unfree labor. The federal government rented hundreds of enslaved laborers, and it was their hands that drained the swamps, cut the timber, and chiseled the stone. Black people built Washington, DC, and without their labor, the splendid new capital would have been doomed. More than 200 years later, the National Museum of African American History and Culture would also be built by black hands. Located on the last vacant lot along the National Mall, the Smithsonian’s 19th museum cost $540 million to construct and contains more than 36,000 artifacts. The five-acre site boasts one of the most imposing structures in all of Washington. Coated in bronzed aluminum, the massive museum is distinct from the other white-marble buildings that populate the area. The three-tier facade draws upon the shape of the crown worn by Yoruban caryatids. The building was designed by the Freelon Adjaye Bond/SmithGroup, a consortium of firms that named David Adjaye as its lead designer. The Ghanaian-British architect worked closely with well-known lead architect Philip Freelon, an African American from Philadelphia. Unlike the black masons and sawyers who cobbled the nation’s capital together, Adjaye and Freelon are trained architects who created a modern piece of American history that is marked by the African diaspora at every turn. In the months since its public opening, school-children have braved long lines and crowded exhibition rooms to become a part of the museum’s early history. Armed with iPhones and wearing comfortable sneakers, they enter its exhibit halls accompanied by parents and teachers. Church youth groups and Girl Scout troops moving in single-file lines have descended upon this new mecca for all who are interested in the stories of the African slave trade, the long and torturous centuries of American slavery, the promise of emancipation brought by the Civil War, and the disappointment and brutality of the Jim Crow era that followed it. Many of the children who visit this museum come with a lens far different from any previous generation: The only president they’ve ever known is an African American. Now, they juggle that historic first with a president-elect who has been publicly endorsed by the Ku Klux Klan. Saddled with the haunting images of Eric Garner, Tamir Rice, and Sandra Bland, this generation of students, and those that follow, will come to understand that the existence of this museum is a necessity for Washington and for the nation. Many of the people who have come here planned their visit months in advance. Those who are unable to secure a coveted ticket rise early in the morning and stand in line for a limited number of same-day passes. It’s not unusual to see the line form as early as 3:30 am. Black fraternities and sororities, book clubs, and families come to learn about their past and to celebrate their survival and progress. They come with patience, respect, excitement, and the deepest feelings of obligation. For many, a visit to this museum is similar to a family reunion—a planned gathering of elders and children in order to remember the past, to honor the enduring bonds of family, and to share a day of fellowship with one another. Once inside, the visitors are captivated by what they see. They move slowly and judiciously through the multilevel structure, carefully reading the descriptions for each object. They match images and items to family stories passed down from one generation to the next. In many ways, this museum validates what these visitors have always known to be true. The experience is both educational and emotional, and the patrons refuse to be rushed. The typical time spent in a museum is close to two hours, but the people who visit here are staying for much longer, sometimes for up to six hours. They photograph themselves in front of exhibits that are particularly moving or triumphant; they fall into silence when they ponder a set of children’s shackles. The most recent and cutting-edge scholarship informs the carefully mounted exhibits. Historians of the African-American experience agree that the most recent and cutting-edge scholarship informs the carefully mounted exhibits. The curators were extraordinarily thoughtful with the work they put into each display, and a meticulous consideration of gender is perhaps one of the most shining accomplishments here. Unlike many other sites of historical memory, this museum doesn’t focus solely on the lives of great men; it also tells the stories of women and children, allowing everyone who comes here to feel intimately connected. The entire eighth-grade class of the William Penn Charter School, a Quaker school in Philadelphia, clambered aboard buses and journeyed to Washington to be among the first to visit the museum. Their three-day stay in the capital allowed them to immerse themselves in the nation’s history and to visit government sites around the city. Imana Legette, director of diversity and inclusion at Penn Charter, said that school administrators and faculty “felt it was important for our students to see the museum from a historic perspective, and this trip tied neatly to our eighth-grade social-studies/civics curriculum.” Eighty-five of these middle-school students joined the crowds flocking to the museum in its opening week, and they were among the first of their generation to weigh in on their experience. Aside from complaints about the crowds and the extended wait times, many students reported that their visit was “memorable.” They were impressed with the building itself, calling it “beautiful” and “modern.” They encountered objects like the Bible owned by rebel leader Nat Turner and a statue of Thomas Jefferson standing in front of a stack of bricks—each brick labeled with the name of an enslaved person who was once counted as the third president’s property. An 1850 slave cabin and whip were among the objects that transported these middle-school students back to a very painful and difficult era, but most pushed past their discomfort, remarking that their visit here marked them as participants of history. “While visiting the museum, I felt inspired and motivated,” one student said, noting the palpable feelings of pride and excitement among the patrons. For these eighth graders, the interactive exhibits were powerful and almost overwhelming. A number of students commented upon the inability to see everything in one visit; many said they wanted to return. The historical items collected here are powerful, in part because so few people knew of their existence. Dr. Bunch spent countless hours on the road visiting institutions and private collectors, hoping to find treasures in small collections or in basements and attics. One such visit—with Charles Blockson, founder of the Charles L. Blockson Afro-American Collection at Temple University—proved to be emotional. Bunch recalled his shock when Blockson presented him with extremely rare photos of famed abolitionist Harriet Tubman’s funeral. The sight of Tubman’s hymnal—and also of her silk shawl, a gift from Queen Victoria—brought tears to Bunch’s eyes. The museum is filled with items like this, objects that symbolize and lay bare the complex and painful experiences of black people in America. One William Penn Charter student noted, “It was a very emotional museum… it didn’t hold anything back.” Another commented, “I was nervous when I was in the museum, and kind of angry. I didn’t know what to expect and what might be on display.” These feelings were shared by many who walked through the museum’s dark and enclosed bottom floor. The descriptions here of the Atlantic slave trade are sobering, at best, and while its significance was appreciated by the eighth-grade visitors, they were more comfortable in other parts of the museum. The floor above takes museumgoers away from the trade in human misery and focuses upon black life following the end of slavery. This is not to suggest that patrons are shielded from the terror of Jim Crow; white-supremacist regalia and the casket belonging to Emmett Till are prominently featured here, reminding visitors of the limitations of black freedom in the 20th century. Interactive exhibits on the contributions of black people to popular culture, student activism, and sports were popular with younger visitors, many of whom could make direct connections to the faces and success stories of Jackie Robinson, Oprah Winfrey, and Gabby Douglas. It’s clear to all who visit the National Museum of African American History and Culture that it doesn’t just teach black history; instead, it explains how that history has profoundly shaped the American experience. Perhaps now more than ever, it will be seen as a safe space on Washington’s National Mall, a space in which the history of black people is studied, respected, and celebrated. It’s a museum that will force Americans to look at their past, to see their present, and—hopefully—to reimagine their future.